Brandy, Martini, and Port... Oh My... Berry Nice! 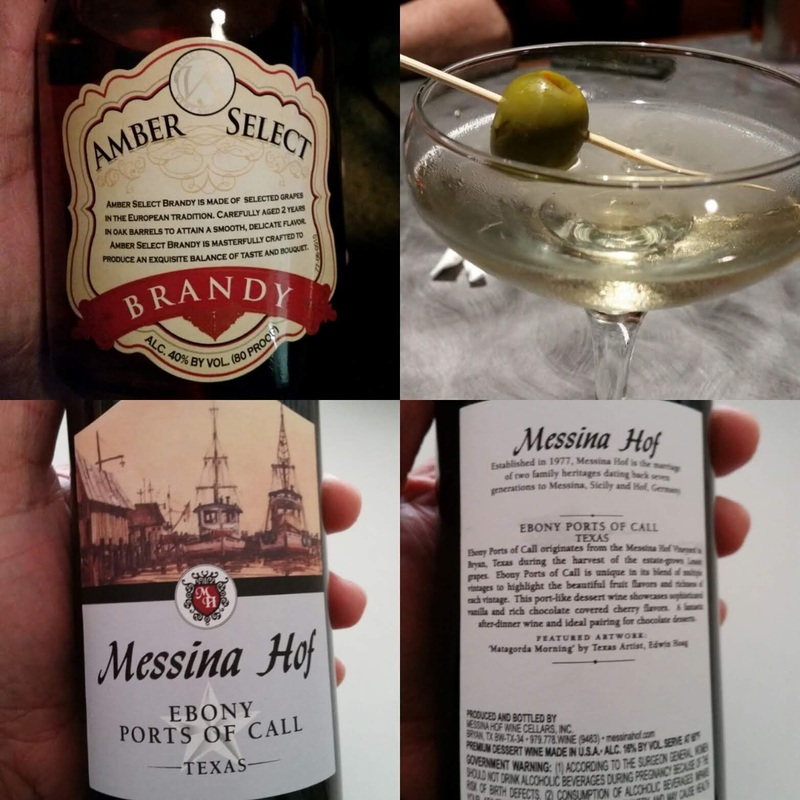 How about some Amber Select Brandy, a Martini, and Messina Hof Port Wine? Red Wine Wino says, "Sure Thing!" Amber Select Brandy was tasty and carries the 80 proof alcohol content. But, had Minute Maid Berry Fruit Punch and WOW! Very Tasty! Martini was mixed at a restaurant; was tasty but no strength... need the one's from Bar Louie! 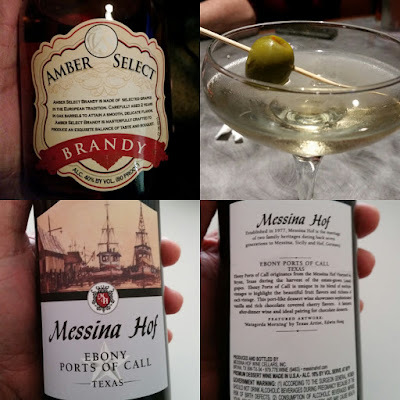 Messina Hof Port Wine remains a sure thing... sweet and strong alcohol content. A little something, something for the palette... lesson learned Brandy mixed with Minute Maid Berry Punch makes an awesome cocktail. Easy mix too... two fingers of brandy in a "Rock Tumbler" glass and fill the rest with Punch! Calling this one the "Berry Nice"! Deep Fried Turkey and Grapecreek Vineyard's Pinot Grigio? Preparing Thanksgiving turkey the way we like it... deep-fried! 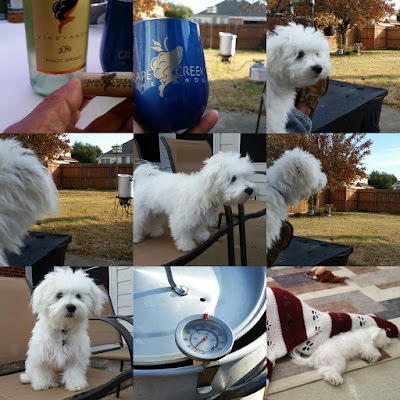 While doing so, best way to chill while cooking it is with a glass of Grapecreek Vineyard's Pinot Grigio and Charlie the Maltese Puppy looking on - "supervising" of course. Well looks like he prefers to take a nap instead while the Red Wine Wino cooks the turkey. No worries... the wine was good; will buy again earning its Good Rating from the Winos! 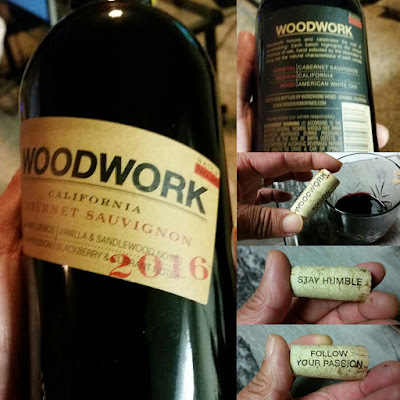 Cabernet Sauvignon from Woodwork in CA! Cabernet Sauvignon from Woodwork Winery in California was a tasty one. 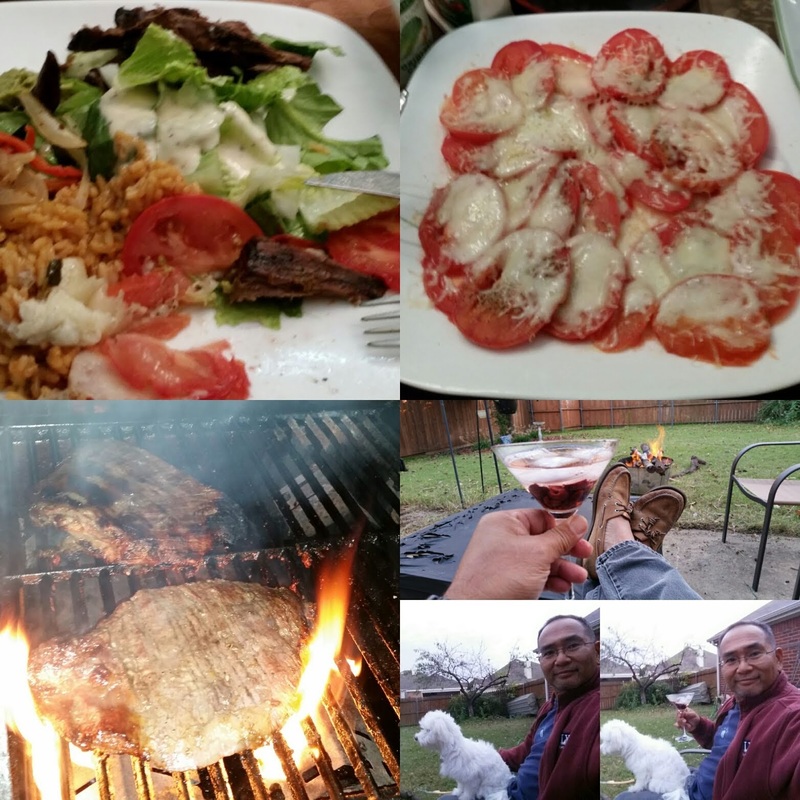 Had this one with a home cooked dinner of Carne Asada! Went well with the spicy meat and grilled vegetables. Winos give Woodwork's Cabernet Sauvignon a Good Rating! 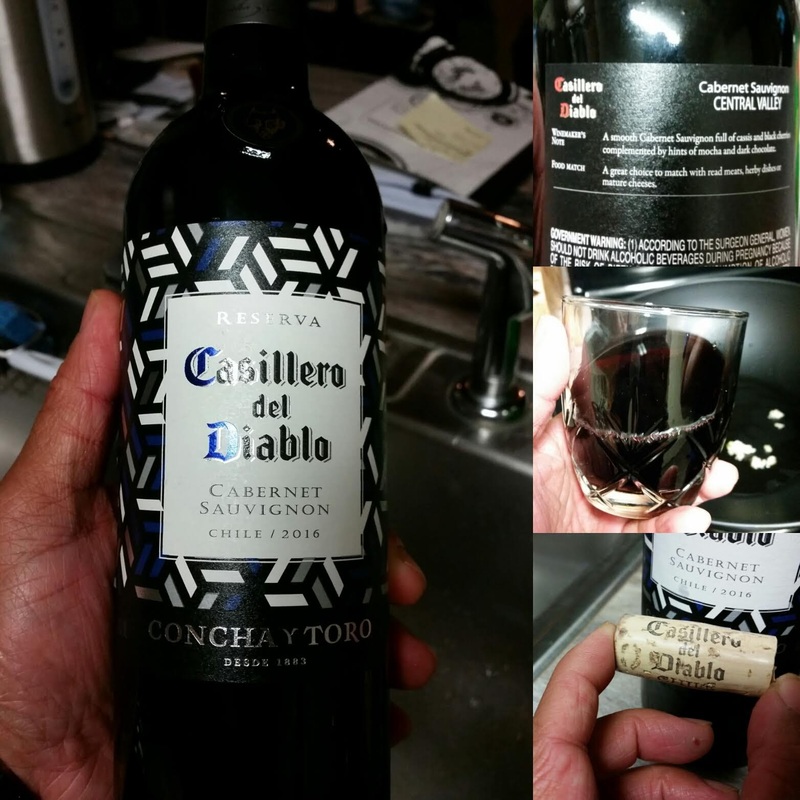 New one for us... Casillero del Diablo Cabernet Sauvignon. This one has a hint of mocha and goes well cheeses. 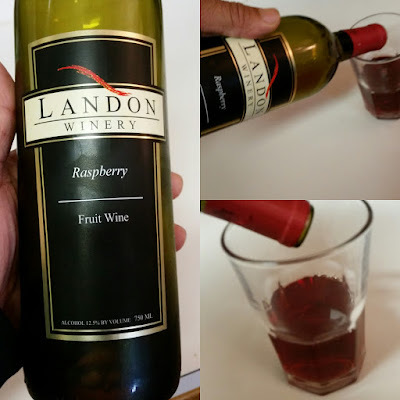 For the Red Wine Wino, it goes well with anything but he is too easy when it comes to red wines. White Wine Wino gives it a thumbs up! Good Rating for Casillero del Diablo Cabernet Sauvignon! Always a tasty and strong wine for us. All three Winos continue to give this one a well-earned Good Rating! But, do stay tuned as their is a Peach one sitting on the rack with a certain someone's name on it! Chuy's for Dinner and Drinks! 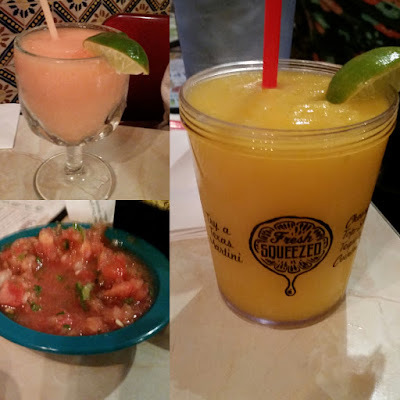 Dinner with the White Wine Wino, Sweet Wine Wino, and your's truly the Red Wine Wino at Chuy's/ Ordered food and drinks; this round went with Queso and Chips and Tacos, then settled in for a cocktail or two - Margaritas and the Frose were tasty but not as "fortified" as we are used to! 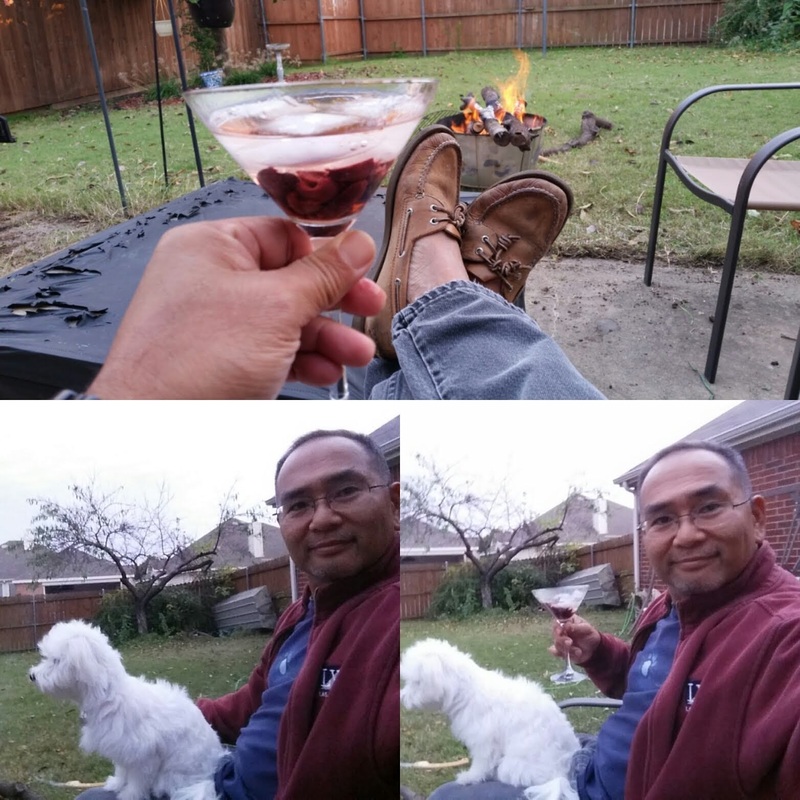 Cold evening but not cold enough to not have a Martini while warming by an open fire with Charlie the Maltese Puppy! Add in grilled steaks and a mix of salads - Ceasar and a Spicy Caprese, and we can only say, "My life is good!" Red Wine, Open Fire, and Fried Trout...! 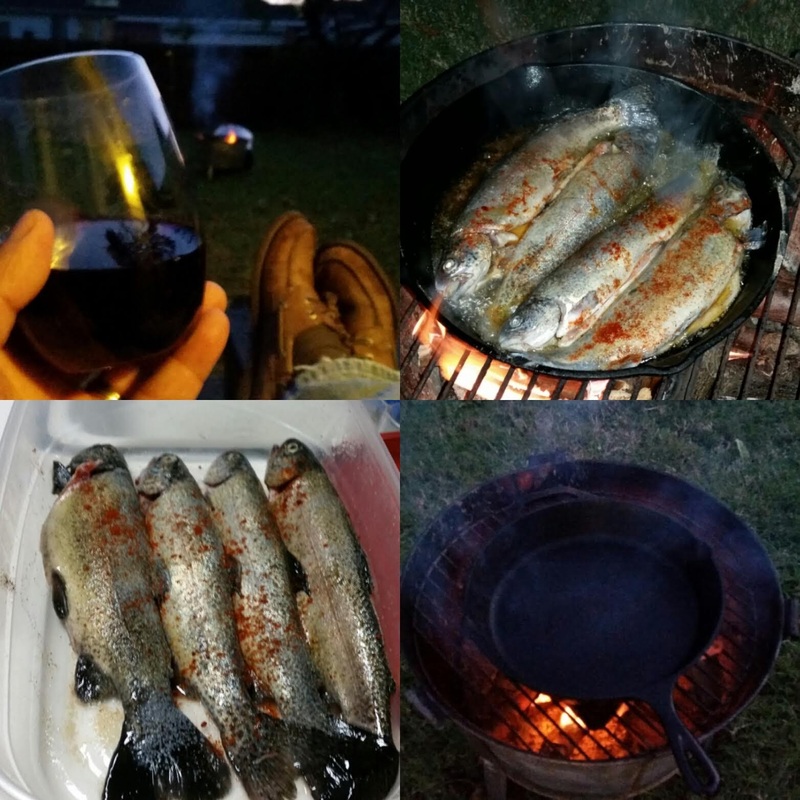 How about Red Wine, an open fire, and fried Trout...! Very tasty, breaking the rules on red versus white... bottom-line, it was tasty! 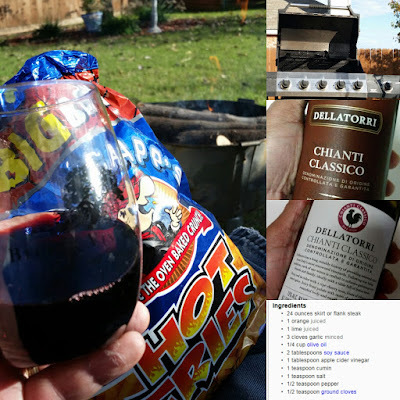 Chianti Classico from Dellatorri! Perfect when prepping the grill for tonight's dinner - Carne Asada! Add the Andy Capp's Hot Fries for appetizers and it does not get any better! Grapecreek Vineyard Pinot Grigio and Black Box Merlot! 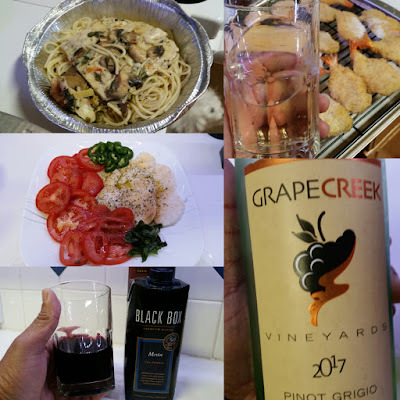 Grapecreek Vineyard Pinot Grigio and Black Box Merlot to go with dinner of leftover Chicken Piccata and other things... Breaded Shrimp and Caprese Salad but spiced with Jalapenos! Another tasty combo! 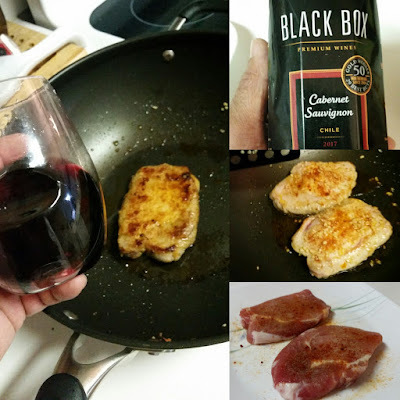 Black Box Cabernet Sauvignon and pork loin cooked in olive oil and garlic. Wow... what a mix! 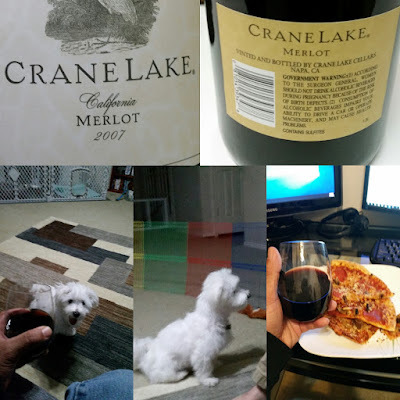 Crane Lake Merlot and Pizza Night! Crane Lake Merlot with a take out order of pizza. No wine for Charlie the Maltese Puppy, but a little pizza never hurt anyone. Grapecreek Vineyard's Pinot Grigio and Halloween Candy? Grapecreek Vineyard's Pinot Grigio was tasty! 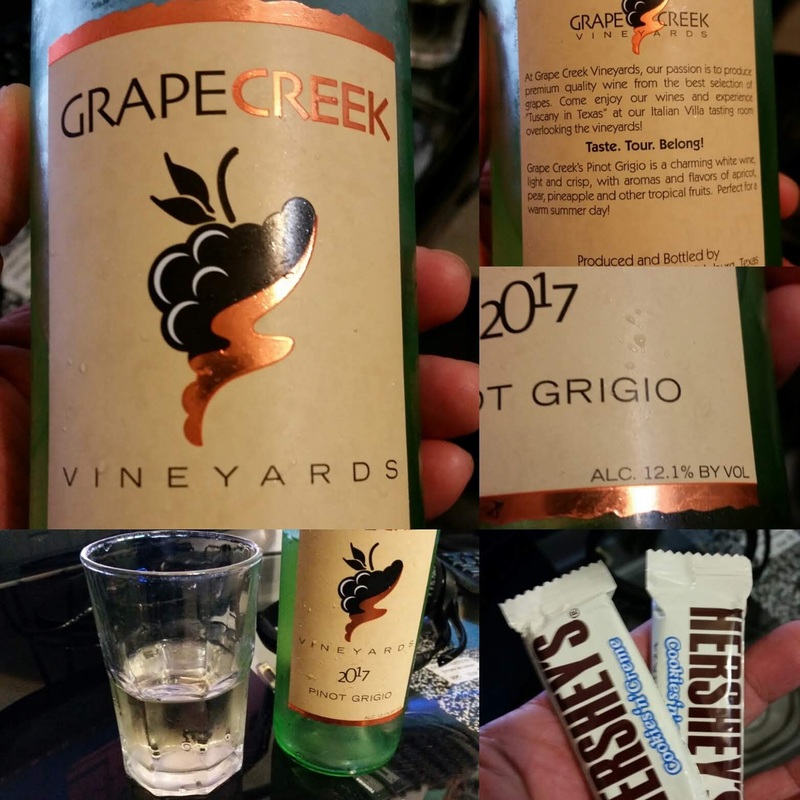 Enjoyed the offering from the Vineyard's Wine Club... add the leftover Halloween candy and it was awesome!